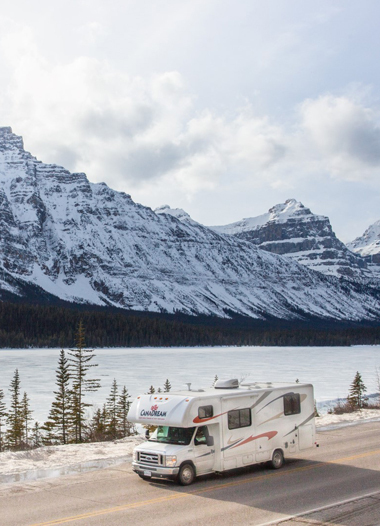 CanaDream is committed to providing Guests with a memorable RV vacation experience as they “experience Canada at their own pace” in a CanaDream motorhome. From small beginnings in the 1990s, CanaDream has grown into one of the largest RV rental and sales companies in Canada. The company’s leadership position has been achieved through a combination of investments in experienced and well-trained Cast members at all locations, proprietary technology and continual investment, upgrading and maintenance of its systems and RV fleet. In 2017, CanaDream became part of the Apollo Tourism & Leisure Group of companies. While CanaDream is based in Canada, its fleet of approximately 1000 RVs can be seen on the road throughout both Canada and the United States. RV Guest and Sales locations can be found in cities offering an incredible variety of natural experiences and include Calgary and Edmonton (Alberta), Vancouver (British Columbia), Whitehorse (Yukon), Toronto (Ontario), Montreal (Quebec) and Halifax (Nova Scotia). Through its RV rental and sales fleets, CanaDream provides Guests and Customers with the means to discover their own piece of Canada. While some would say CanaDream is an RV Rental Company, CanaDream prefers to say their product is Canada and the memories their Guests and Customers share with family and friends of their experience of Canada at their own pace in a CanaDream RV. CanaDream is proudly Apollo, which means we are part of a global RV rental and sales group. With our global head office in Brisbane, Australia, you'll find our brands offering a wide range of campers and RV's to suit every style and budget. So, when you are thinking of experiencing Australia, New Zealand, Europe, Britain and of course the USA at your own pace ... think Apollo! See some of our CanaDream Cast members in action and get a glimpse of what happens "backstage" to make your CanaDream RV vacation a reality.